A man has been jailed for breaking a three-month-old baby’s arms and legs. Mark Caulton, 37, of Peatfield Road, Stapleford, pleaded guilty in July after it was confirmed the injuries were caused by “blunt force trauma”. 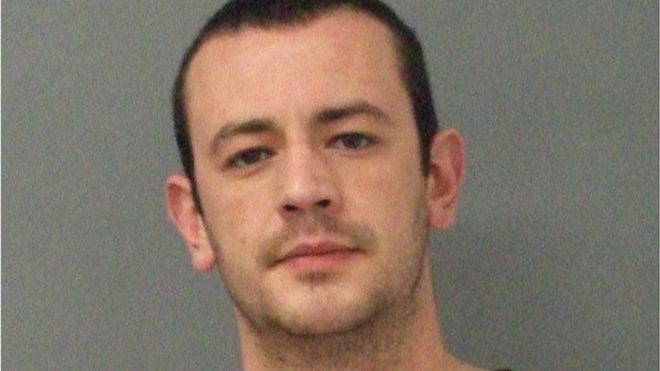 Nottinghamshire Police said Caulton had “caused a cascade of devastation and confusion for the child’s family”. He was sentenced to four years for causing serious harm and suffering to the baby at Nottingham Crown Court on Friday. Police said the baby boy was taken to hospital in Nottingham with a “limp arm” in October. An X-ray confirmed his arm was badly fractured and further examinations revealed seven breaks, which had occured on separate occasions, to both of the baby’s arms and legs. Detectives said Caulton provided a series of excuses for the injuries, all of which were rejected by paediatric experts. Det Con Chris Taylor, from the Child Abuse Investigation Unit, described Caulton as “manipulative”. “There’s something to be said for a man who chooses to abuse a child so defenceless, a child so young they haven’t even developed the ability to ask for help,” he said. He added that the boy is not expected to suffer long term effects from the injuries. Charges of grievous bodily harm and causing a child to suffer serious injury and child neglect had been dropped. Caulton was also given a lifetime restraining order and ordered to pay court costs.